Context - Psychoactive drugs such as tobacco, alcohol, cannabis, amphetamines, ecstasy, cocaine, and heroin can change consciousness, mood, and thoughts. The use of these drugs imposes a substantial health burden on society. How do psychoactive drugs affect the brain? How does drug addiction develop and how can it be treated? Alcohol and cocaine are examples of psychoactive drugs. Drug addiction is more common among people with mental disorders than among the general population. For example, people with mental disorders are more likely to be alcohol dependent at some stage in their lives than people without a mental illness. Conversely, drug-dependent people are more likely to suffer from mental disorders than non-dependent people. For instance, people who are dependent on alcohol, tobacco, or cocaine are more likely to suffer from depression than non-dependent people. Drug use and addiction impose a substantial health burden on society. 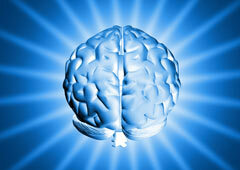 Recent advances in brain research may help to find ways to reduce that burden. The health impact of drug use depends on the type of drug and the way it is used (amount, frequency, etc.). The greater a person’s drug use, the higher the risk of becoming dependent. Effective public health programmes can reduce the overall health burden of drug use. Dependence is caused by many factors and it is currently impossible to predict who will become drug dependent. Drug dependence is a medical disorder that could affect anyone and that can be treated. Drug dependence and mental illness often affect the same individuals. Beyond stopping drug use, effective treatment requires changes in the behaviour of users and often the use of substitute drugs. Treatment must be accessible to all in need. Prejudice and discrimination against drug dependent people is one of the main barriers to their treatment. Brain research should continue to help devise effective ways to reduce the harm caused by drug use and dependence.